Students interested in computational and data science are invited to learn about graduate programs that will prepare them for success in computationally intensive fields. Pizza and pop will be provided. Monday, Sept. 19, 5 – 6 p.m.
Wednesday, Sept. 21, 5 – 6 p.m. The Graduate Certificate in Computational Discovery and Engineering, which trains graduate students in computationally intensive research so they can excel in interdisciplinary HPC-focused research and product development environments. The certificate is open to all students currently pursuing Master’s or Ph.D. degrees at the University of Michigan. This year we will offer a new practicum option through the Multidisciplinary Design Program. The Transportation Research Board (TRB) of the National Academies of Science, Engineering, and Medicine is sponsoring the “Partners in Research Symposium: Transformational Technologies” on October 31-November 1, 2016, in Detroit, Michigan. Registration is open and Patron opportunities are available. Additional details can be found under the “Program” tab in the symposium website. New technologies have the potential to transform transportation as we know it. Public agencies are being challenged to facilitate the deployment of these technologies in a manner and timeframe that will lead to improved safety, reduced congestion, enhanced sustainability, and economic development. This TRB symposium will bring leaders from the public and private sectors and academia together to help generate research and innovations to enable agencies to meet this challenge. The symposium will lay the foundation for research roadmaps and partnerships. Technologies that are expected to be addressed include connected and automated vehicles, shared-use mobility services, smart cities and the internet-of-things, unmanned aircraft systems, NextGen, big data and cybersecurity, and alternative fueled vehicles. This summer, 10 high school students from around the country gathered in Ann Arbor for the first annual Michigan Institute for Data Science Summer Camp on the campus of the University of Michigan. 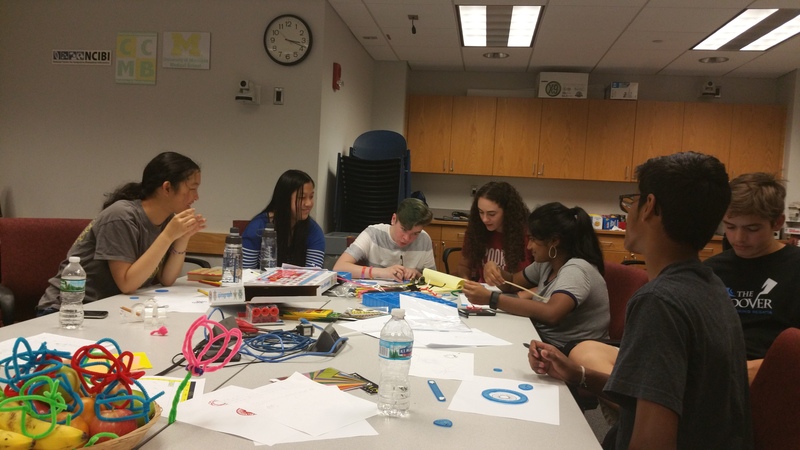 The weeklong camp, titled “From Simple Building Blocks to Complex Shapes: A Visual Tour of Fourier Series,” drew students from as far away as Kansas City, MO, and as nearby as Ypsilanti and Ann Arbor. The camp was organized by Raj Nadakuditi, assistant professor in the Electrical Engineering and Computer Science Department. Other U-M faculty instructors at the camp were Prof. Jenna Weins, and MIDAS co-directors Prof. Al Hero and Prof. Brian Athey. Elizabeth Fitzgerald, 16, traveled from South Carolina to take part in the camp. She said she wants to study artificial intelligence and machine learning, but was interested to see what else data science can explain. “It was enlightening to see all the different applications of data science,” she said. The camp will be offered annually. Details for next year will be posted at http://midas.umich.edu/camp/ in the coming months. A group of U-M students has won second place in the National Institute on Drug Abuse (NIDA) “Addiction Research: There’s an App for That” challenge. The project was called “Substance Abuse Research Assistant (SARA).” Tthe team was composed of undergraduates (Steven Zeng and Joshua Song from Computer Science, and Amy Afonso and Wan-Ting Lin from the School of Information) and led by a masters student (Andy Lee, SI). The faculty mentors were Pedja Klasnja, Susan Murphy, Ambuj Tewari,and Maureen Walton. Support was provided by the Michigan Institute for Data Science (MIDAS). The second place award carries a cash prize of $25,000. See the NIDA Challenges website for more information on challenges. Students from across all U-M campuses are invited to submit posters for display at the 2016 Michigan Institute for Data Science Symposium. The National Science Foundation has awarded a $2.5 million award to focus on the analytic opportunities contained in metadata. George Alter (History, Institute for Social Research) will serve as principal investigator. More information is available in a press release from U.S. Rep. Debbie Dingell, D-MI. Research on connected and automated vehicles which recently received funding under the Michigan Institute for Data Science (MIDAS) Challenge Initiative was featured in “The Urban Transportation Monitor.” The projects featured are led by Pascal Van Hentenryck (Industrial and Operations Engineering) and Carol Flannagan (U-M Transportation Research Institute). The article, available for download, begins on page 6. The Urban Transportation Monitor (now in its 30th year) reports on the latest developments in urban transportation. Its circulation reaches thousands of readers across the U.S. as well as 30 countries worldwide. Subscribers include the most prominent organizations active in urban transportation. For more information, see www.urban-transportation-monitor.com/.